We are one of the leading manufacturers and exporters of scarf hangers. These products are manufactured using high quality raw material. The range offered by us is well known for its high endurance, strength and durability. 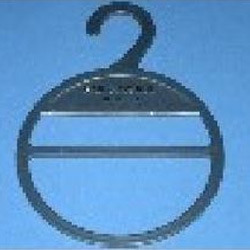 - 11.5" x .5" x 9.5"
Our clients can avail high quality Scarf Hangers, which are available in various shapes and dimensions. The range offered by us is customizable as per the requirements of our clients. 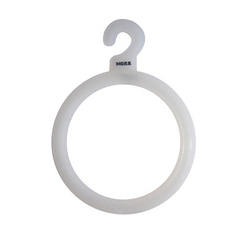 Also our SP-160 range of scarf hangers can be detached as per requirement. Further, these products have a ling service life and require low maintenance. With the support of our expert workforce, we are manufacturing a wide range of hangers of plastic scarf hangers. These are used for holding scarves and stoles. Further, our range is available in different dimensions and can also be customized as per the requirement of our customers. We are offering a wide range of Designer Scarf Hanger to our patrons. These products are made from high quality components at highly equipped infrastructure unit.